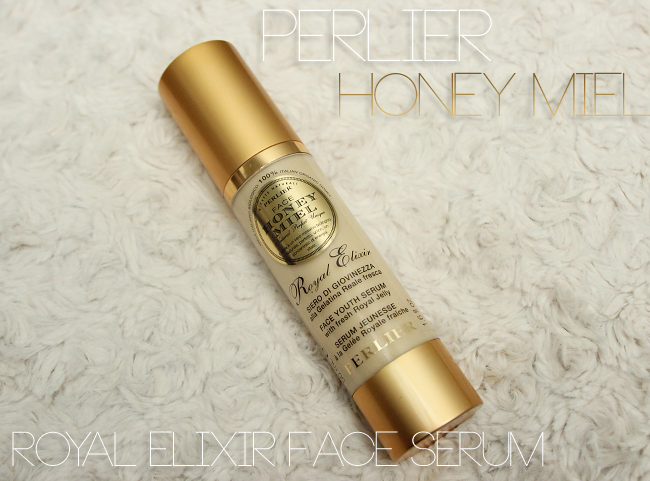 Radiant Skin: Perlier Royal Elixir Face Serum Review! I find reviewing face serums quite tricky, because usually I can notice a smother, softer skin, but often nothing else unless I use the product for at least few months. When I got the chance to test out Perlier Royal Elixir Face Serum I decided to give it a try, because I really liked their body butter that I've reviewed before here. Perlier Royal Elixir Face Serum is not an inexpensive product (price is around $79 on hsn.com), but I found it to work a bit different than other serums I have tried before, so I think that many of you will probably like it a lot. This product is made with fresh Royal Jelly (really interesting ingredient, read more about skin benefits here) which works wonders as an anti-age ingredient and organic honey which adds glow to a dull looking skin. Royal Elixir Face Serum feels very lightweight on skin so it works great as a night serum and daily moisturizer (that is how I am using it since I have combination skin). My skin feels instantly smoother, looks healthy and energized. 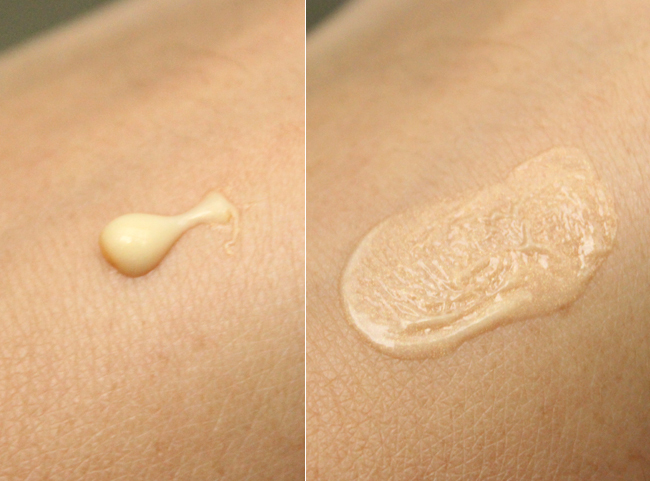 This serum contains micro-pearls with golden reflections, which add a beautiful glow to my skin. This product not only works lovely as an anti-age serum but I really like how it makes my skin look and feel. Also since I start using it my skin feels and looks more hydrated and less prone to occasional acne, which is one of the Royal Jelly skin benefits. The body butter that I have reviewed in the past had a pretty strong honey scent which I wasn't the biggest fan of, but this serum has a very subtle and delicate scent that disappears after application. I think Perlier Royal Elixir Face Serum is a wonderful product for people that have problems with dull looking skin. This product not only makes my skin feel soft and smooth but it actually adds a subtle glow and works great as a makeup base. It has a velvety texture and feels very lightweight on skin. Have a great day Ladies, Disclaimer: I received samples from Ifabbo. All opinions are honest and mine.